Charming Craftsman in Bothell’s Meadow Creek Park. 3 bed/1.75 bath 1620 sq. 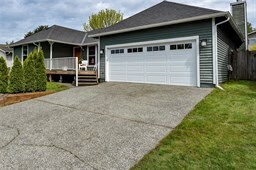 ft. home w/ remodeled kitchen, granite counters & stainless steel appliances. New interior paint, new carpet & nice craftsman details such as wrapped windows add style to this home. Master bedroom w/ master bath. A spacious front porch greets you w/ a nice private garden. Entertainment deck out back and spacious backyard complete this lovely home. One block from the park & great North Shore Schools!